Yesterday the social media pages of Shadowhunters TV revealed the repackaged covers of Cassandra Clare’s The Mortal Instruments and today Cassie has taken to tumblr to talk about the new covers. Since we’ve already shared the book covers, we’ve only included the spine art which looks incredible! I love these [covers] — I have great fondness for the old covers, but it was time for a change, and these feel fresh and new to me, cleanly designed, and with each character seeming frozen in a moment of story. At the bottom you can see the spine art — it stretches across the spines of all the books; each has a piece, and when they are placed together, you can see the whole picture. 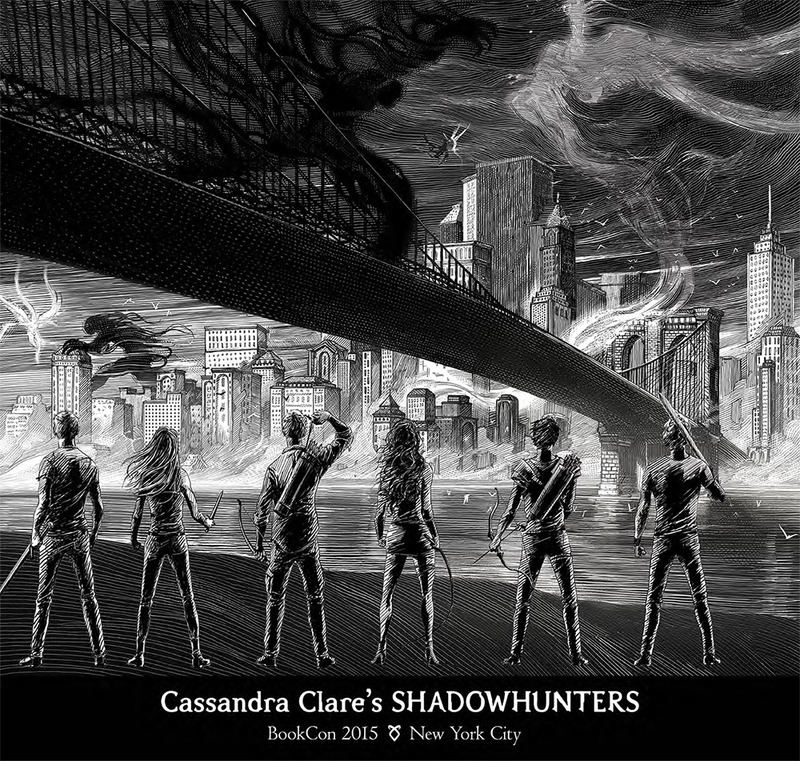 Any Shadowhunters going to BookCon NYC this year? If so, stop by the S&S booth #2620 @11:00 each day to get your limited-edition poster featuring the new spine art from the TMI repackages coming September 1st! Cliff Nielsen and Russell Gordon did great jobs, kudos to them! Stay tuned for the new The Infernal Devices covers which will be revealed later today! The covers are amazing, but I liked the older covers better, they portrayed the characters better. Yes so getting this at BookCon. Well Cassie said tat is because Jace was in the original cover of the first book so she wanted it to keep it the same..
As long as you have the ISBN numbers of the books, you can also order the US editions. I think that’s true I mean I’m sure they can be shipped there, it might cost more for shipping though, but i’m sure you can get them. I love the new covers and even though I already have the old ones I’m going to purchase the new ones, same with tid. I usually don’t do that but the shadowhunter series are one of my fav so and the covers are just too pretty to not buy them.